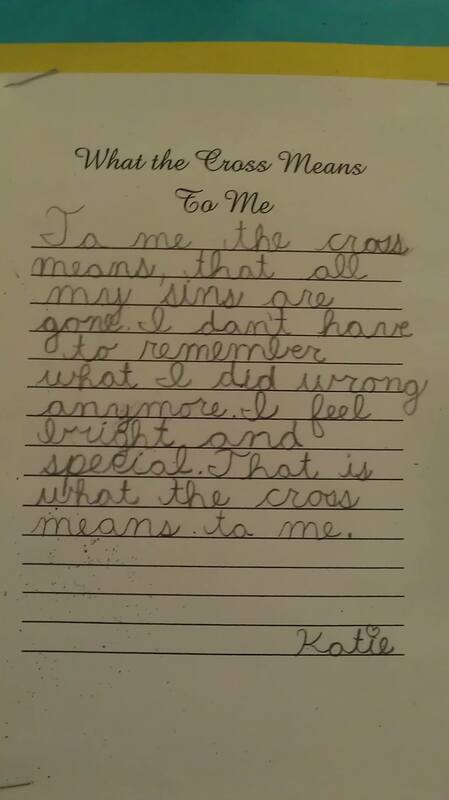 Above are my daughter’s beautiful thoughts about the cross. She wrote it as part of an assignment for the Christian school she attends around Easter last year. I posted it previously but I think of her words often. They never fail to touch my heart. May the reality of God’s love and Jesus’s sacrifice touch us ever deeper. May we all feel bright and special before Him. Happy Easter!